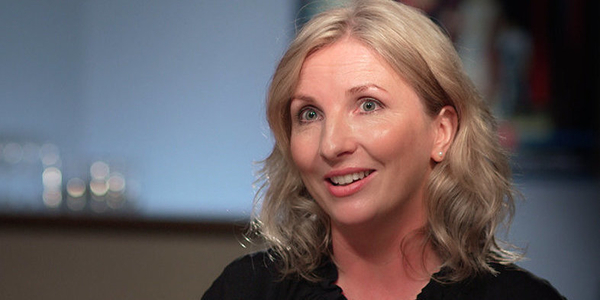 IFTA Members are invited to attend an industry Masterclass with Irish editor Úna Ní Dhonghaíle. Multi-award winning editor Úna Ní Dhonghaíle is best known for her work on ‘The Crown’, ‘Stan and Ollie’, BBC mini-series ‘Les Misérables’ and Irish feature film ‘Rosie’. Having studied Film & Media in D.I.T Aungier Street, Úna turned her attention to editing studying the craft for three years at the National Film and Television School, IADT. In 1999, Una brought five of her graduate films to premiere in Cannes, claiming the top prize for editing. Over the past 20 years Úna has edited on a variety of projects, from documentaries to film and television drama. Her body of work contains editing credits on some of the biggest shows in television, including ‘The Missing’, ‘Doctor Who’ and ‘Ripper Street’, all of which have earned Una IFTA Award nominations for ‘Best Editing Drama’, as well as BAFTA TV Craft nominations. In 2017, Úna won her first IFTA award for her work on BBC's drama series ‘Three Girls’, based on the Rochdale child sexual abuse scandal. Her work on the highly-acclaimed drama also earned her a BAFTA TV Craft Award, Women in Film and TV Award and a RTS Craft & Design Award to add to her prestigious list of accolades.